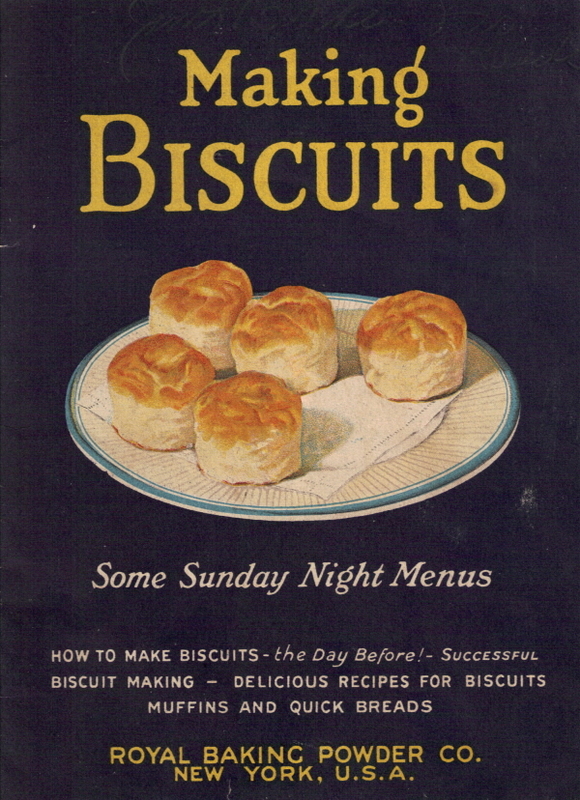 This vintage recipe booklet was published by Royal Baking Powder Co. in 1923 and is titled "Making Biscuits". There are recipes for baking powder biscuits, other kinds of biscuits, bread recipes, muffins and more. 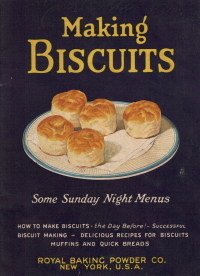 The cookbook is 15 pages and has been formatted per section (so all baking powder biscuit recipes would be on one page, etc. ).